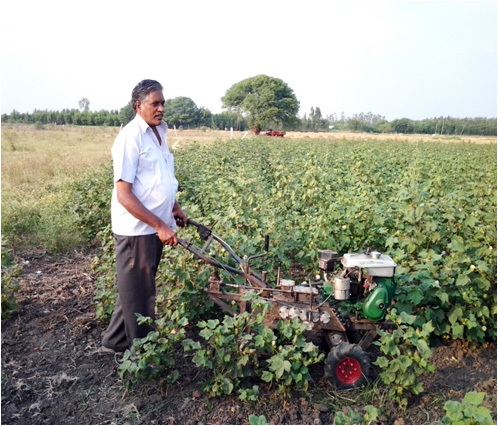 User friendly Mini tiller can be used for wet and dry fields including black cotton soil. 4 Vehicle speeds and two tilling speeds. Depth upto 6 inches, 16 inches min width, 2-3 hours for one acre and 1.25 litre diesel. Saves 60 % cost in labour.